The ATP has announced that the Italian city of Turin will replace London as host of the ATP Finals, the season-ending event for men’s tennis, after next year. Turin has sealed a five-year deal, running from 2021 to 2025, with the ATP Finals to call Pala Alpitour, Italy’s largest indoor sporting arena, its new home. 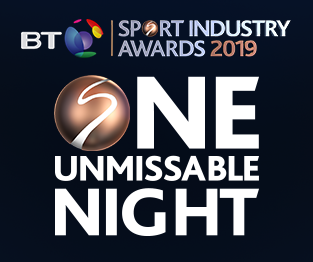 The BT Sport Industry Awards has officially sold out for 2019. Thursday’s glittering showcase will bring together 1,700 industry leaders, key influencers and stars from the worlds of sport and entertainment to celebrate the best of the industry’s creative and commercial output. The night will represent the culmination of a process that began seven months ago to determine the winners of the world’s largest, most prestigious and rigorously-assessed commercial sports awards. Sport and entertainment marketing consultancy Strive Sponsorship has been appointed by World Rugby to explore growth opportunities for rugby union’s global governing body in video gaming and the burgeoning esports industry. The partnership has been announced just days after Strive struck up a similar arrangement with the England & Wales Cricket Board. Premiership Rugby has confirmed that media industry executive Darren Childs will succeed Mark McCafferty as Chief Executive. Childs, who has more than 25 years of experience in the media sector, announced in February that he would be stepping down in June from his current role as Chief Executive of multi-channel broadcaster UKTV after eight years at the helm. Former Sport Minister Tracey Crouch MP has described Richard Scudamore’s decision to step down as Chief Executive of the Premier League as the most significant sport industry moment of 2018. In an exclusive interview with Sport Industry Group, which has been published today, the Kent MP said: “I think that was the start of wholesale change in football [leadership]. In her first month as an advisor to The Playbook, the sport-based communications agency whose clients include the NFL and ECB, former Sport Minister Tracey Crouch MP sat down with Sport Industry Group to discuss the new role, which came about following her principled resignation from government at the end of last year. LaLiga has claimed that new research shows the Spanish league is making “significant inroads” in Asia, including the key markets of China, India and Indonesia, long considered to be strongholds of rival the Premier League. Unaided awareness of LaLiga increased by four percentage points in the three countries in the 12 months through to November 2018, according to market research company GfK. The sport industry has been reacting to news that Gordon Taylor is to stand down as chief executive of the Professional Footballers’ Association (PFA) after 38 years in charge.